My mission is to help women entrepreneurs, like you, realise you’re awesome through my copywriting, so that you can see it + tell your clients about it. I write copy that both attracts your dream clients and sounds like your real, offline self. I’m all about being yourself in life + business. 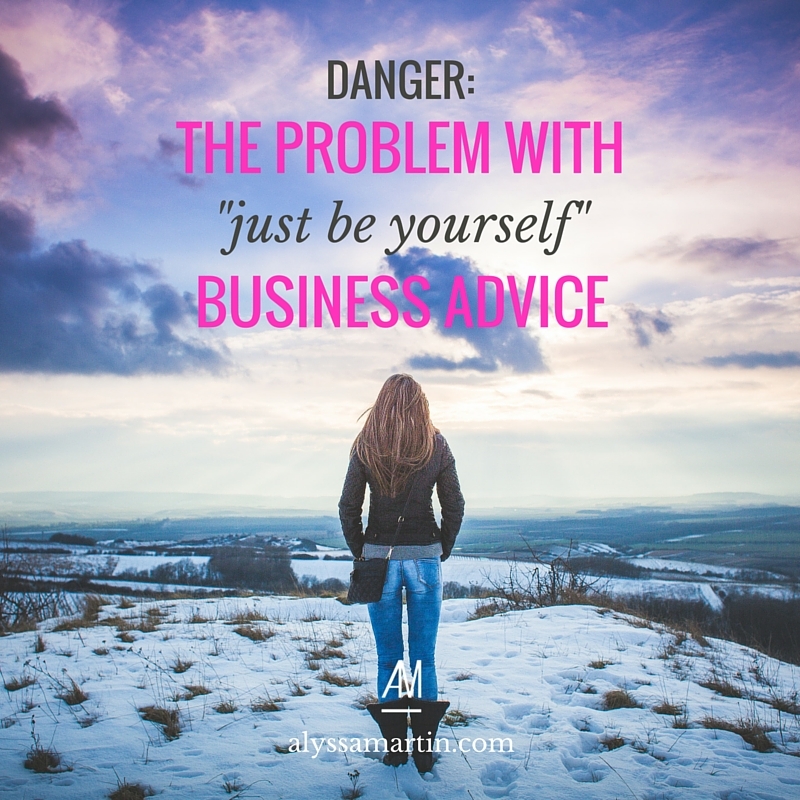 But I’m noticing an interesting, but unproductive phenomenon associated with the “just be yourself” type of business advice. Many of us are using “I’m just being myself” or “that’s not my style” as an excuse for not taking action. Sometimes, “I’m just being myself” thinking can hold you back. I’m afraid that I have nothing important to say. Or that everything I want to share has already been said. Or that no one will want / like my newest creation. Or that I’ll get rejected by potential clients. Most of all, I’m just plain afraid that I’m not good enough to succeed. But if I let my Inner Critic take over, I’d never get anywhere. Fear is normal when you’re an entrepreneur. I tried doing things the “I’m just being myself” way. That meant I never promoted myself. I expected throngs of paying customers to miraculously figure out what I do (and that I’m awesome at it), then start throwing their money at me. But that never happened. Not once. Now, I realise that facing my fear + putting myself out there is the key to personal + business growth. I’ve also learned how to promote myself in ways that feel really good to me. I just have to remind myself that I’m not a sleazy, scammy person. So, telling potential clients that I can help them is not inconveniencing them, it’s being of service. A doctor never looks at a sick person and thinks, “I can’t treat them. That would be so salesy.” That’s because a doctor always knows that they’re being helpful. And what you do is helpful to your clients too. Since you’re here, I know that you started your business because you love what you do + you want to help people make a difference in the world. To make a difference, you need to tell people what you do, why you’re different + worth paying attention to. If they don’t need what you’re offering, they won’t buy it – so don’t let that hold you back. I wholeheartedly support you being yourself in life + business (because that’s the principle my business is founded on). But make sure you check in with yourself to see that you’re not using “I’m just being myself” as an excuse to hold yourself back. Is this the wrong move for me? Or, am I just scared? Take small steps to facing your fears. Each time, you’ll feel increasingly confident + be ready to take on bigger + better challenges. P.S. There’s only a few spots let to work with me this year. Head over here to find out how I can help you.